Place the flour, butter and salt in the bowl of a food processor and pulse until the mixture resembles breadcrumbs. Add water a tablespoon at a time, pulsing after each addition, until the dough starts to clump and stays together when pinched between your fingers. Tip dough onto a piece of plastic wrap and press into a ball. Wrap in the plastic and refrigerate for 30 minutes. Lightly flour a work surface and roll out the dough to ½ cm thick. Gently fold each edge of the pastry disk into the centre (like an envelope) then place into the middle of a 22 cm tart tin. Unfold pastry, ease into the sides and corners of the pan and drape excess over the edge. Run the rolling pin over the top of the tart tin so the sharp edge trims off the extra pastry. (to prevent pastry shrinking as it bakes), and preheat the oven to 180°C. Cut a sheet of baking paper just bigger than the tart shell, scrunch up then smooth out (to soften paper slightly) and place on top of the pastry. Fill paper with rice or pastry weights and bake for 12 minutes. Remove the paper and weights and return pastry to the oven for a further 10 minutes until golden. 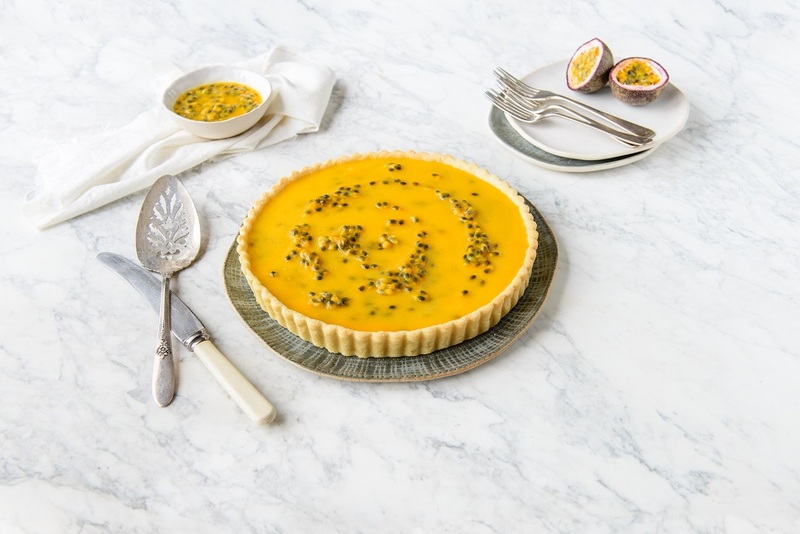 Fill cooled tart with the hot passionfruit curd. 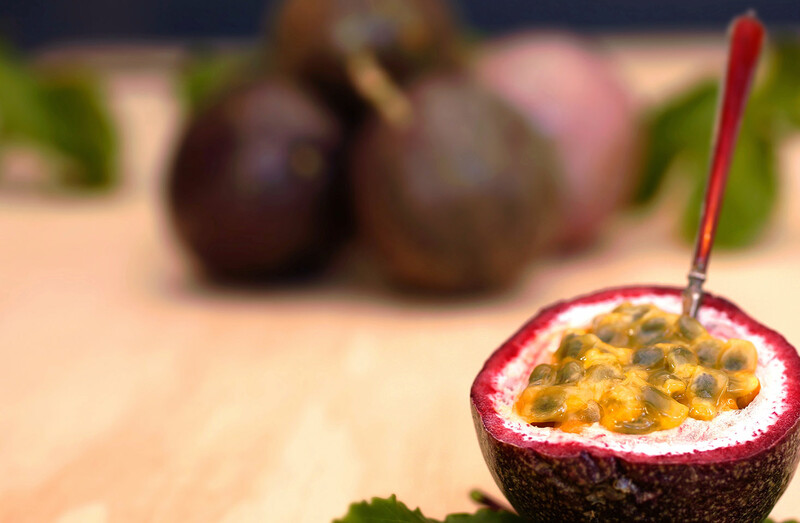 Refrigerate at least 4 hours or overnight to set, then drizzle with fresh passionfruit to serve.